CID has concluded the 2nd day of recording statement from the former DIG Nalaka de Silva on VIP assassination allegations and he would be informed to appear again, the police said. 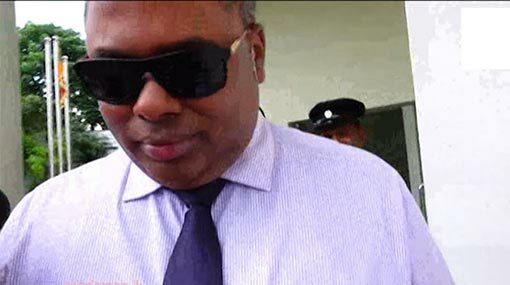 DIG Nalaka de Silva, former Director of the Terrorism Investigation Division (TID), is currently under investigation in connection with an alleged conspiracy to assassinate the President and the former Defense Secretary. He was questioned by the Criminal Investigation Department for nearly 9 hours yesterday (18) and was asked to return today (19) for further questioning. Director (Operations) of Anti-Corruption Movement, Namal Kumara, had last month uncovered information of the conspiracy and the alleged conversations that he had with former DIG Nalaka de Silva regarding the matter and other controversial topics. The Criminal Investigations Department (CID) subsequently commenced investigations regarding the alleged conspiracy and has recorded statements from both Namal Kumara and the former DIG on multiple occasions.